We spent months testing, trying, and using many different apps for the iPhone in our search for the best calendar app. We wanted to know which apps were the easiest to use for entering new events, viewing your current agenda, and more. 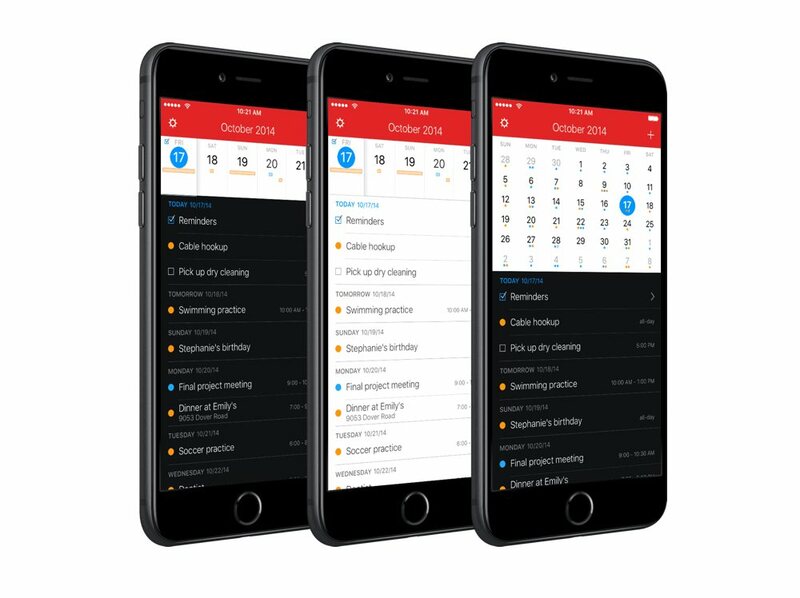 Based on several different criteria, Fantastical was the clear choice for the best calendar app for the iPhone. 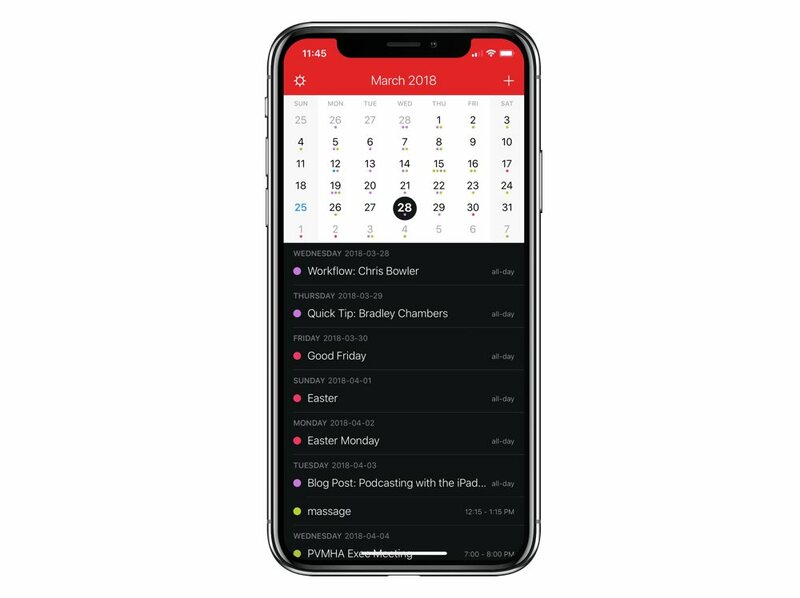 In a nut, what makes Fantastical the best calendar app is its great design, superior natural language text entry, and its support for iCloud reminders. Discover how to improve your workflows and get more focus with this free, in-depth guide to productivity. Easy and fast to view appointments: The best calendar app needs to make it quick and easy to view your calendar. This means it provides different calendar views that are easy to switch between so you can visualize your events in the way that is most helpful to you. Easy and fast to use for adding new events and finding upcoming ones: The best calendar app needs to have fast and easy event entry. To us, this means great natural language parsing (but more on that in a bit). Works with necessary services (Google, iCloud, Exchange): If the calendar app can’t interface with the calendar syncing service you’re using, it can’t be the best because the app would be silo’d to your iPhone only. 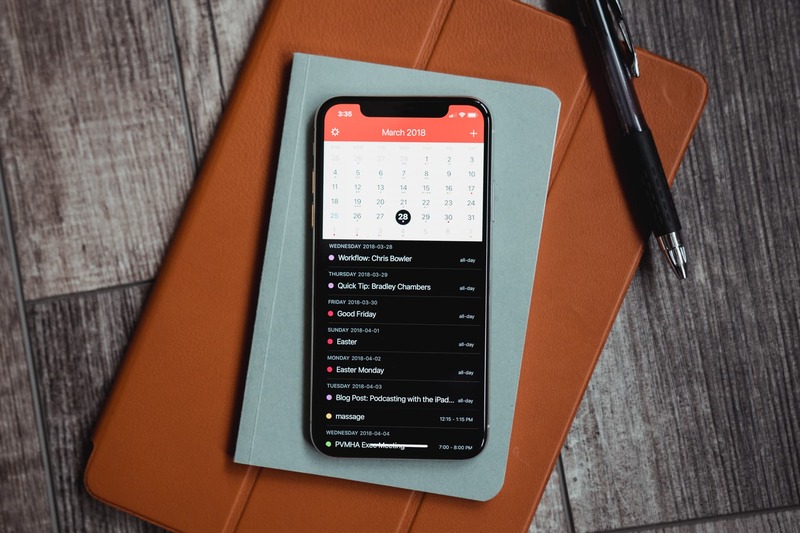 Fantastical meets all our criteria for a great calendar app, and we recommend it unreservedly for iPhone users of all ages, professions, and varying degrees of busy-ness. It is the easiest to use (for adding/editing events) and the easiest to read (for checking schedules) for most people. Fantastical’s natural language parsing is second to none, making it fast and easy to add events, and it has a simple-yet-powerful design. The week ticker makes it easy to visualize your week ahead, a simple pull switches to a month calendar view, and it supports any calendar you can add to iOS. Fantastical has two view options: list view in portrait mode with a week ticker or month calendar sitting on top, or switch to landscape mode for a week “block” view. The views can either just show events, or it can integrate events and iCloud Reminders. The week ticker is a great way to get a general overview of how busy the upcoming week is and to quickly swipe ahead to a specific date. The ticker shows lines (color coded to your calendars) indicating when you have events throughout each day. With a simple pull on the week ticker, you can swap it out for a monthly calendar view, making it easy to get an overview of any month and the day of the week a date lands on, etc. Each date on the calendar with events scheduled shows a dot (again, color-coded to your calendars). If you rotate your iPhone into landscape mode, then you get a week “block” view, similar to what you see in Calendar in OS X. This gives you a great visualization of how your time is blocked out over the next week while also seeing details for each day. From the block view, you can also drag and drop events to change the time and date. Along with these three views, you also have the option to turn on a great dark theme for the vertical interface. It is clear that everything in Fantastical’s design was carefully considered and serves to improve the functionality of the app. Late last year, we took a little poll on Twitter regarding people’s calendar use on their iPhones. The results are not scientifically conclusive, but they do provide some interesting data points. So, 94 percent of the total respondents use their iPhone calendar app two or fewer times per day to enter in a new event, while most of those people actually use it once or less per day. Of the majority who do not enter multiple events per day on the iPhone, we think it’s safe to assume they never become deeply familiar with the user interface of their calendar app. This unfamiliarity leads to friction when entering events, whether you know it or not, because your brain has to process and re-learn the interface every time you enter a new event. What is an “interface” we are extremely familiar with? Natural language. We say things like “Meet Joe for lunch tomorrow at 12:30” all the time. It’s called “natural language” for a reason — we say these sentences in our conversations, emails, text messages, etc. A calendar app that can accept and parse natural language is one we can use as infrequently as we want without suffering the consequences of an unfamiliar input interface. With Fantastical, you don’t have to enter text like a computer for the app to understand it. Fantastical has the best natural language input mechanics of any other calendar app, far and away. Not only is it fast and intelligent at parsing just about any event- or reminder-based sentence, but Fantastical has easy-to-understand animations that let us know how the app is translating our words. The animations are providing instant feedback on how Fantastical is parsing your words and, more important, they’re teaching you Fantastical’s syntax. Natural language parsing makes it easy to switch between entering an event or a reminder. For a reminder, you simply start by typing “task,” “todo,” or “reminder.” You can also toggle a switch (if you prefer) that tells Fantastical you’re entering a reminder and not an event. Shopping at Giant Eagle Saturday at 8am: Fantastical will create an event called “Shopping” with location “Giant Eagle” and schedule it for this upcoming Saturday at 8 am. Vacation in Canada Aug 9-15th: Fantastical will create an event called “Vacation” with location “Canada” and schedule it as an all-day event August 9-15th. task pick up milk at 4:30pm: Fantastical will create a reminder called “pick up milk” and alert you at 4:30pm. Meeting every Wednesday at 1:30pm repeat weekly alert 10 min: Fantastical will create a repeating event called “Meeting” scheduled to repeat every Wednesday at 1:30pm with an alert 10 minutes before the start time (rather than the default reminder in the app). The extension that comes as part of Fantastical is crazy powerful. Instead of a bare-bones UI, the extension packs the app’s entire event creation UI behind the Extension button. The most common use case for the widget is probably Safari. Tapping the extension will create a new event with the URL saved, but if you have any text highlighted, the extension will place that text in the event’s title field. This is where the magic of Fantastical’s text parsing comes into play. If you’ve highlighted the date and time of an event, the extension will take that and build out the event. It’s a little weird to explain, but in practice, it makes creating an event from almost anywhere in iOS super fast. On the iPad, Fantastical supports Slide Over and Split View, making it fast to look at your schedule while doing other work on your tablet. You can also use iOS 11’s latest Drag & Drop features to drop an event into the event creator or straight into your week ticker or monthly view. This is a great feature for dragging events out of your email inbox and into your calendar. The app supports Quick Actions on the iPhone 6S or greater. 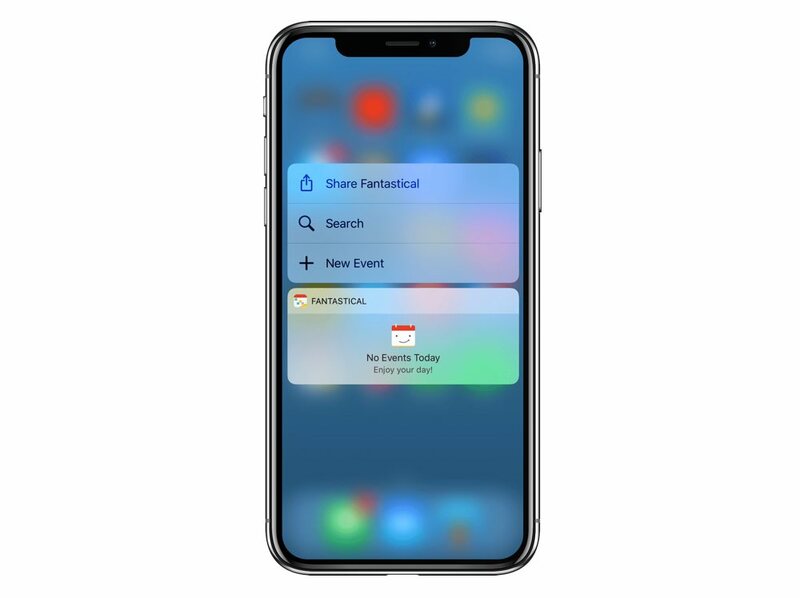 3D Touch on the app icon to reveal shortcuts to create a new event, show reminders, search, and see what’s up next on your calendar. Likewise, Fantastical offers rich notifications that have more information just a 3D Touch away. Lastly, as of version 2.8, the app offers an iMessage sticker pack, making it easy (and fun!) to tell someone you’re running late or need to reschedule something. Fantastical’s Apple Watch app is flexible and powerful. You can view events as a list or on a timeline, giving you a sense of events’ length and gaps in your schedule. With watchOS 2 and higher, you can even create new events and reminders right from your wrist using natural language. Simply Force Touch the app and speak, and Fantastical will take care of the rest. Fantastical ships with a custom complication that is most useful when used in the large spot in the Modular face. Gently pull down on the day ticker or calendar to reveal the search box. Tap the month and year header to go to today’s date. Tap and hold the month and year header to go to a specific date. Fantastical has some great URL schemes and supports x-callback-url for those of you who want to automate adding events. When using Fantastical to add Reminders, there is an option for custom repeat intervals (something the iOS Reminders app doesn’t offer). Fantastical offers notifications of events and reminders. If you don’t want to get duplicate reminders, remember to turn off either the Calendar/Reminders notifications or the Fantastical notifications. In version 2.1, Fantastical added the ability to snooze reminders, making the Calendar reminders unnecessary. We suggest you stick with the Fantastical notifications. For the power users, Fantastical has keyboard shortcuts for external keyboards baked into the app. Check out the complete list in the Settings → Help → Tips and Tricks section. If you want to add a specific location to an event, tap the arrow in the Location field to search for locations that are in your Contacts list or nearby on the map. This is helpful if you need to specify which Chipotle you want to meet your friends at. 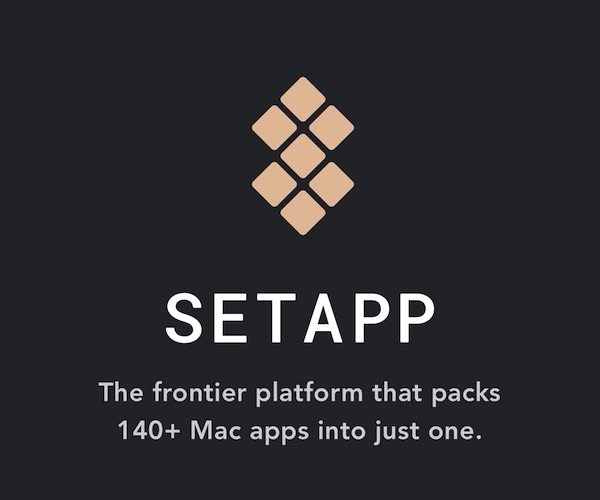 9to5Mac touts that it is “the calendar Apple should have built… again”. Another calendar app worth checking out is Calendars 5. One of the biggest selling points of Calendars 5 over Fantastical 2 is that the former is a universal app. 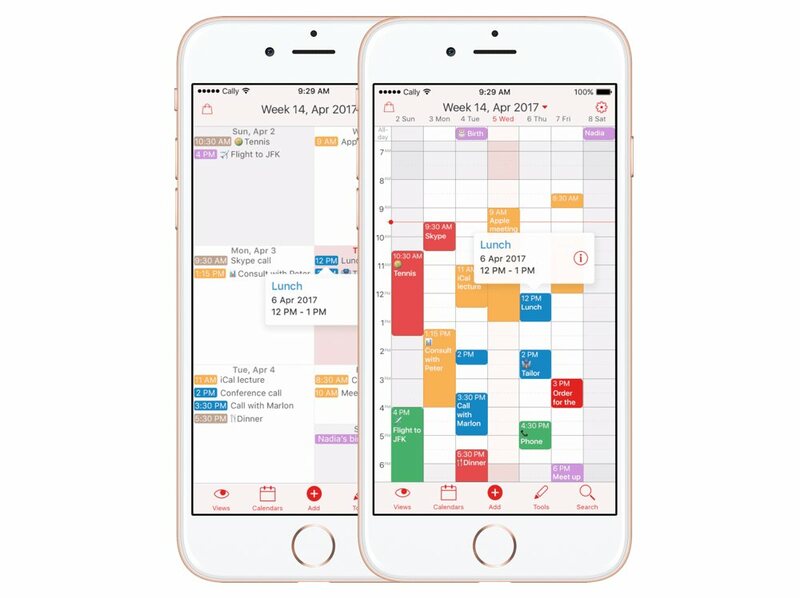 If it’s important for you to work with the same interface across your iPhone and iPad, Calendars 5 is definitely worth your consideration. However, iCloud syncing allows you to easily use Fantastical 2 on your iPhone and Fantastical 2 on your iPad (or just about any combination of calendar apps). Calendars 5 has several great view options: List view, day view, week view, and month view. Getting to these different views, however, requires a few taps and can be tedious. 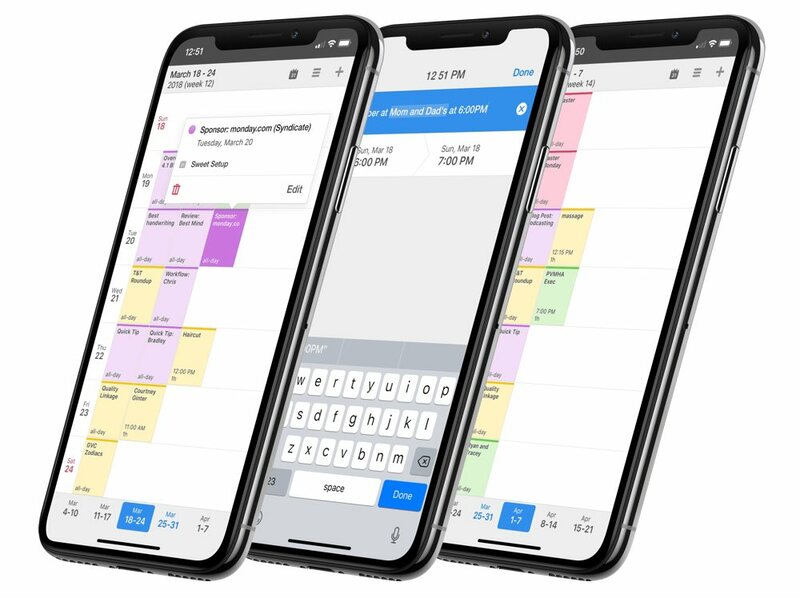 With its own integrated task manager (which can sync with iCloud Reminders) and the ability to sync with Google Calendar on its own, Calendars 5 can stand alone from the iOS native Calendar and Reminders if you want it to. Calendars 5 also offers some nice gestures, including a horizontal swipe to change between the day/week/month/or year in view, as well as drag and drop to move events around. Drag and drop is a handy feature for easily changing the time or date of events — just tap, hold, and drag. The list view offers a unique “timeline” type list with icons on the left-hand side illustrating what type of event or reminder each item is. On the iPad, this is accompanied by a block calendar view on the right, which is a unique view to Calendars 5. The week and month views also show your events in block view, which we find useful for visualizing time in the day. The year view provides a great overview, with color coding of each date for how busy you are. For entering events, Calendars 5 also offers natural language parsing. However, it is missing the visual cues of Fantastical. While you do see an animation when parsing is happening, it doesn’t quite have the impact of the Fantastical animations. Calendars 5 makes it easier than ever to invite people or add locations to events. Using the same natural language parsing, the app suggests that you invite people that you mention and also looks up locations that you can add to the event. For example, if you type “Coffee with Joe at Starbucks at 2,” Calendars will suggest that you invite Joe to the event and will also show you a list of local Starbucks shops. When you search for a calendar app on the iOS App Store, you’re almost sure to discover Week Calendar. Week Calendar is consistently one of the top-grossing and most-used calendar apps available for the iPhone thanks to its power-user feature set. Week Calendar offers batch processing, allowing you to shift appointments and events on a batch basis. You can also customize Week Calendar as well, something you can’t do with Fantastical. From colors to alerts and menus, Week Calendar can be manipulated to your heart’s content. Lastly, if you create events with similar parameters time and again, Week Calendar offers templates to make short work of adding the similar events. While Week Calendar is a great option for power users, we feel it’s too complicated and busy for most people. The weekly calendar view is extremely busy and feels overwhelming upon first encounter. And Fantastical’s natural language parsing is simply difficult to beat. If Fantastical’s feature-set doesn’t meet your needs, take a look at Week Calendar. Shifts makes managing an irregular work schedule easy by creating shift types that you can easily apply to your calendar. Once you create the shift types, inputing your schedule is quick and simple. At first, it was tedious to add all the shift types, especially if you have a crazy schedule. For shifts that start in varying 30 min increments, we had to create individual types, each with a colored icon. It felt like a lot of taps. Once the shift types were entered, however, inputing our schedule was quick and easy. You simply select the shift type and stamp it on the applicable days. It took a minute to get used to the input method, but we liked it in the end. You can view your schedule in calendar or list mode and add notes to any day. Opening at Starbucks on Monday, class on Tuesday, and it’s all customized and color-coded. You can have multiple shift types in one day, and you can even apply rotations for regular shift types like class. Our favorite feature is importing existing calendars. Once you give Shifts permission, it will add calendars from Apple’s Calendar app so you can view the schedules side by side. Keep in mind that Shifts will require some initial commitment before you start to see its genius. We love the customization and color-coding, and when we saw that it could display events from other calendars, we were sold. 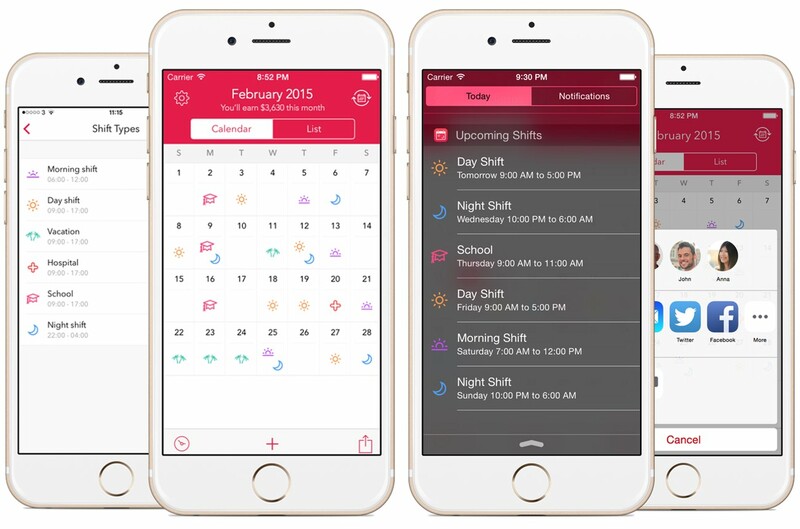 Because of it’s extremely narrow scope, Shifts doesn’t really content with Fantastical as our favorite calendar app for the iPhone (but Shifts isn’t trying to take that spot). It’s an app that, as they say, does one thing very well. Native iOS Calendar also offers day, week (horizontal, or as a running list in vertical mode), and month views. The flat design makes it hard to read and the app lacks gestures and natural language processing. Moleskine Timepage is a beautiful calendar app with a nearly unmatched design. It also works great with Moleskine’s Actions app. However, Timepage’s subscription pricing is more expensive than Fantastical’s one-time purchase price and is high for Timepage’s feature-set. Vantage Calendar is a new app with a unique (and customizable) interface. Vantage is unique enough to catch your attention, but the UI will take some getting used to when compared to other calendar apps. Horizon displays the weather along with each of your calendar events. In the list view, you can see the high and low for the day along with a pictogram of the weather. In the day view, you can see the temperature and a pictogram for each of your events (based on time and location). Cal offers a similar date ticker/month calendar interface to Fantastical and also integrates with the todo manager, Any.do. donna. seems to be an answer to Google now, attempting to predict when you will need certain information from your calendar. Mynd offers a unique dashboard interface to your calendar and also seems to be inspired by Google now. Mynd also has a cool feature where it will notify you in advance of an event that it’s time to leave (assuming Mynd knows where your event is located). 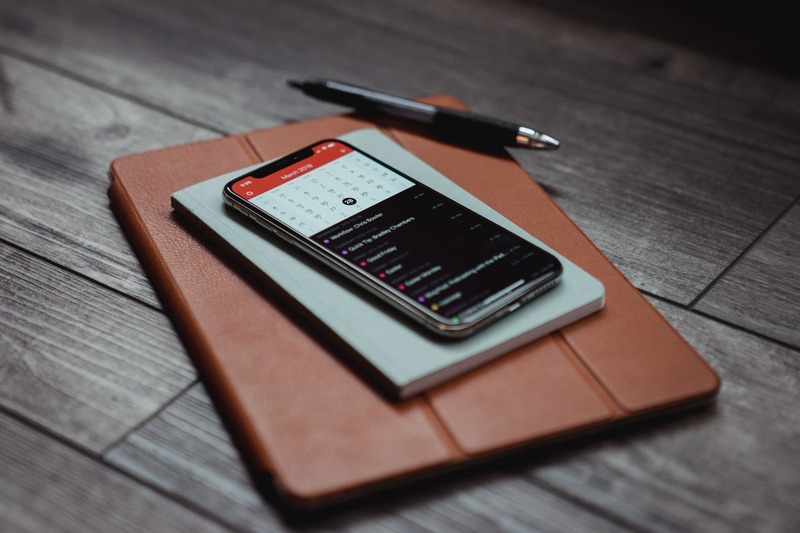 Tempo combines your calendars with many other things, including a smart address book, LinkedIn & Facebook integration, flight status information, driving directions, and more. PlanBe integrates with the todo manager, Toodledo, but has a cluttered calendar view. Popcal has a swipe-based interface and a unique event entry panel, but isn’t much better than the native Calendar app. QuickCal offers good natural language processing but does not have an appealing user interface. 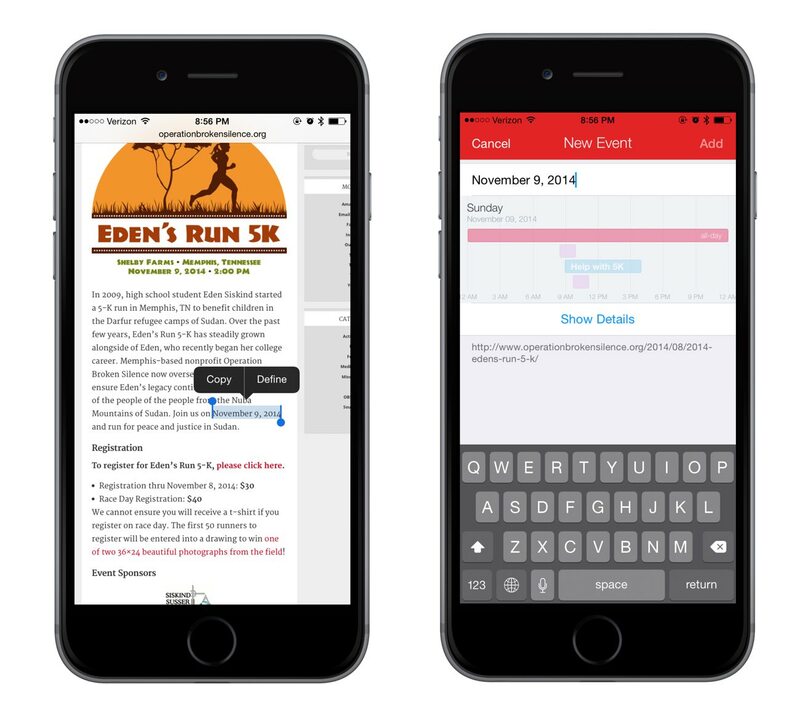 Fantastical 2 is our pick for the best iPhone calendar app. 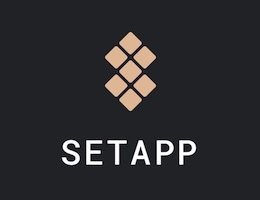 A great design, great views of your calendar events, and superior natural language parsing for event and reminder entry keeps this app on our home screens. A calendar app with delightful design, superior natural language text entry, and support for iCloud reminders. 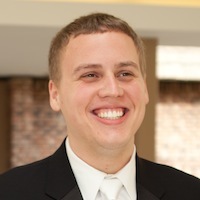 Steven Owens is a chemist with a passion for science, technology, and food. He writes at scientifics and is @scientifics on Twitter and App.net.